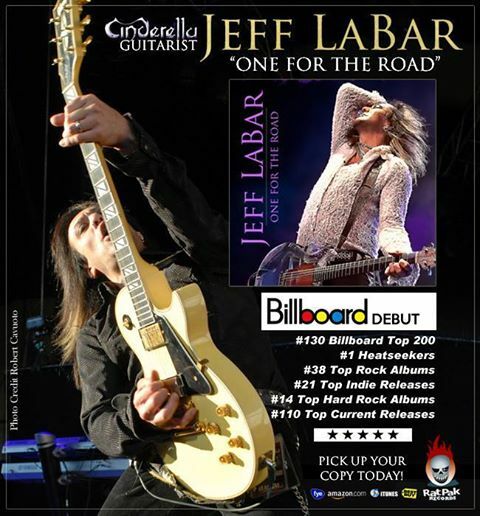 Home›Reviews›Jeff LaBar's One for the Road - The Legendary Cinderella Axeman Unleashes a Brief But Brilliant Solo Debut! Jeff LaBar's One for the Road - The Legendary Cinderella Axeman Unleashes a Brief But Brilliant Solo Debut! 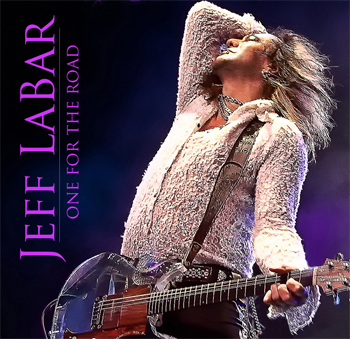 One for the Road is the debut solo album from Cinderella guitarist Jeff LaBar. It was released in August of 2014. In the 1980s, you could not escape the music of Cinderella; the band had hits albums, singles, and MTV videos, and a sound all their own combining hard rock, blues, ballads, and everything in between. 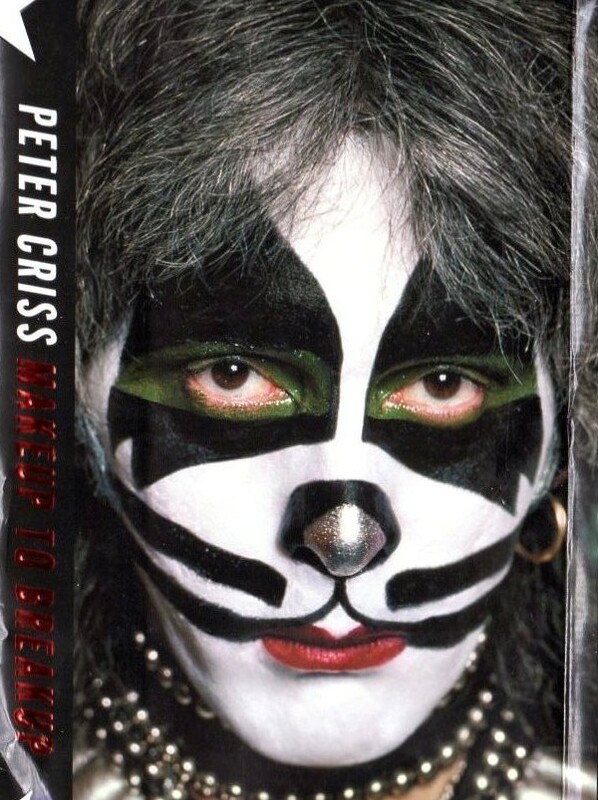 It is no surprise that many a fan of the 80s rock scene considers Cinderella to be one of their favorite bands from this classic era in rock and roll history. Of course, lead guitarist Jeff LaBar is largely responsible for the band’s classic sound and those iconic riffs you remember from all of the classic hits, be them acoustic or electric alike. Cinderella reunited with Poison some time ago, embarking on a hugely successful reunion tour. In addition, LaBar has also played with side projects that include Naked Beggars, Freakshow, and Cheap Thrill. One for the Road marks LaBar’s first ever solo release. Solo albums are always a risky affair in the world in the rock and roll world, particularly from artists who have established themselves so well in one group over the years – Cinderella in Jeff LaBar’s case. This was a record where this fan was optimistic yet skeptical at the same time. Fellow Cinderella alum Tom Keifer’s solo album from 2013, the Way Life Goes, ended up being a big disappointment, with copycat modern pop radio ballads that felt like a pathetic attempt at modern commercialization. How does LaBar’s solo debut hold up? Advertisement for the album details many of LaBar's accomplishments in the music industry. While LaBar’s solo album is brief, it is actually surprisingly good, with a solid mixture of rockers and ballads. There are five full tracks here, and two short instrumentals; Muse and Ode to Page. The former is a short, melodic piece, while the latter is going to bring to mind the acoustic work on the classic Led Zeppelin albums. The other tracks are a nice mixture of hard and soft styles alike. No Strings is a solid hard-rocking intro track that would not be out of place on modern rock radio, yet still has a distinctive sound thanks to LaBar’s talents. Asking for a Beating is a killer heavy rocker thanks to some wild riffs and emotional lyrics; it is definitely amongst my favorite cuts here. Hello or Goodbye is a fantastic, largely acoustic ballad that is reminiscent of Skid Row’s I Remember You. Nightmare on My Street goes right back into hard and fast riffs, and is the perfect 80s flavored rocker, but with a modern flare present that keeps things interesting; it is arguably this record’s stand-out cut. Things slow down for the closing title cut, but this is not a ballad or any less hard and heavy by any means. It closes the record out in fine form. If there is one weakness from LaBar’s solo debut, it is that there are only seven cuts on the album (two of which are just short instrumentals) and a run time that is less than half an hour. As such, it feels more like an EP than a full album. That said, this rock and roll fan goes more for quality than quantity, and LaBar has given us a solid set of tunes. Jeff LaBar’s solo album is noticeably different from the iconic records he gave us with Cinderella, but is still uniquely his own and is going to make for some interesting listening material. This fan is hoping that LaBar’s first solo effort is not also his last. Strongly recommended; the only weakness is its brevity. Accountable Beasts - Is the Latest Solo Album from Classic Black Sabbath Drummer Bill Ward Worth Your Time and Money?